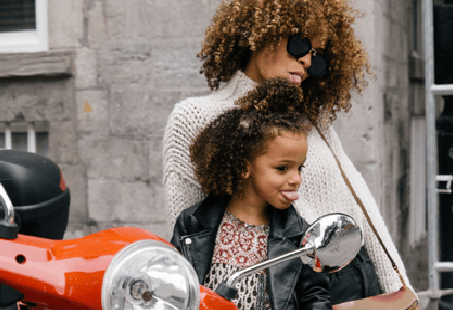 How do you really know if you are doing a good job parenting ? You might not know until it is too late. Parenting, as you know, can be the toughest and most rewarding job there is. There are hundreds of books on parenting with each having various experts provide insight and information on what works best. It can be confusing and challenging to make sense out of all these great tips, techniques, and strategies. What makes it even more difficult is not one of these experts have ever lived in your house for a week! Every household has its own unique dynamics and personalities. Mix it all together and you have one very unique household system where each member of the household contributes to the ups and down of each other and the family unit. What works for one kid definitely might not work for the other. Complexities only increase with more family members living in the house. I cannot think of any child that was born to be bad, a trouble maker, a bully, or so on. Sure, there are exceptions to everything but our kids were born into this world as a blank slate with the sole purpose to survive. How we interact with them from day one, begins the foundation on which their self-esteem and sense of worth takes shape. If a child does not feel loved or if they feel that they will only get love by being a certain way, then the child will very quickly learn to be everything they need to be and end up very confused about who they really are with a very low sense of self-worth. Unconditional love is critical. I have come to understand and believe that most of what is wrong in parenting is more about us than it is about our children. Think about how you were parented. What worked, what did not work, and how did it make you feel? In many situations I have seen my own parents in how I interacted with my kids and in many cases I did not like what I saw. Children are really no different than adults in many ways; a person might not remember everything you said, but they will definitely remember how you made them feel. Children are no different. The best parenting strategy is to simply model the behaviour you want to see in your child. Teach them what you value by telling them and, more importantly, showing them. Punishment might work in the short term but will have only negative results for your child in the long run. You can Google ‘parenting styles’ to find many different descriptions of various types of parenting but I find it easier to think of it this way – you can be too involved, not involved at all, or involved just enough to keep your children safe, secure and feeling loved without crushing their spirit. No kid will ever be perfect, nor will any parent. Keep in mind that it is about the behaviour and not who the child is as a person. As parents we have a limited time and opportunity to help our children be everything they want to be. A great place to start would be to model what you want to see.